Apple sold 51.1 million iPhones during the quarter, down from 61.2 million a year earlier, while Mac sales were 4.03 million units, down from from 4.56 million units in the year-ago quarter. iPad sales were also down once again, falling to 10.25 million from 12.6 million. 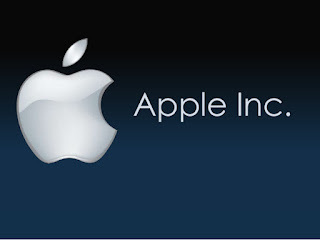 Shares of Apple are getting hit roughly 8% in after-hours trading, tumbling to $96.67. They closed in regular trading at $104.35, or down 0.7%, putting them down 0.9% for the year. The downward move in after-hours trading means the company shed $43 billion in market value based on after-hours trading. For all its other travails, Twitter is unprofitable. It narrowed its loss but still recorded a loss of $79.7 million, or 12 cents a share, compared with a loss of $162.4 million, or 25 cents a share, in the year-ago quarter. Of course it isn’t just the tech giants that are troubled these days. Whirlpool, the world’s biggest appliance manufacturer, has become the poster child for the deep challenges facing multinational companies these days. – Latin American sales plunged 22%. – Revenue fell 8% in Europe, Middle East and Africa. – Asia sales dipped 2%. When is it finally going to sink in for most people? The global economy is slowing down significantly, and the next global economic crisis is already here. American oil companies are drowning in a sea of red ink. The crash in crude oil prices caused a stunning $67 billion in combined losses by 40 publicly-traded U.S. oil producers last year, according Energy Information Administration research. And the bleeding is expected to continue at least early this year for many. The losses surpassed $1 billion each from struggling oil companies like EOG Resources (EOG), Devon Energy (DVN) and Linn Energy (LINE) as well as SandRidge Energy (SD), the shale oil driller that recently admitted it’s exploring a bankruptcy filing. That is an astounding amount of money. These days we throw around terms like “millions” and “billions” so much that they almost lose their meaning. But this is real money that we are talking about here. You’ve got to remember that all of these governments and central banks all around the world have driven interest rates not just to zero, but to negative levels in some cases… and they are simultaneously printing up trillions of currency units. And even while they are desperately doing that the economy is falling apart in lots of different ways. …They’ve created a super-bubble in bonds, a bubble in stocks, and meanwhile commodities have collapsed and are below production costs in many cases. …The economy is going to be very, very bad… It’s the next stage of what I call the Greater Depression. Whether you want to call it a “Great Depression”, a “Greater Depression” or “The Greatest Depression”, the truth is that we are heading into a period of time that will be unlike anything any of us have ever experienced before. The greatest debt bubble in the history of the planet is starting to implode, and this time the central bankers and the politicians are not going to be able to put the pieces back together again. But just like in 2008, the vast majority of the population will not recognize the warning signs until it is way too late.